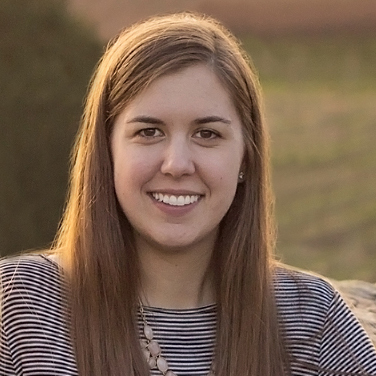 This summer, Jessica Edington joins the GreenBlue team as a project associate focused on the How2Recycle label program. 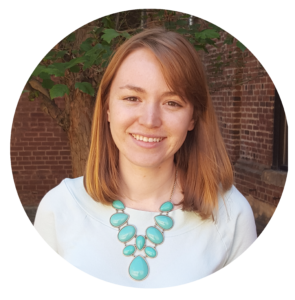 Jessica comes to GreenBlue with a background in sustainability consulting in the Washington, D.C. area. I grew up on the Chesapeake Bay, and as a child I would participate in the Chesapeake Bay Foundation’s Clean the Bay Day, where we would row out in canoes and collect litter from the creeks and marshes. I was blown away by the sheer quantity of garbage we collected from such a small area. The experience left a big impact on me, and I knew from a young age that the way Americans deal with waste was a problem and that recycling was one way to fix it, but beyond that I was admittedly pretty ignorant. Years later, while studying English at the College of William & Mary, I decided I wanted to know more about how to “save the environment” and so I spent a semester living in an eco-village in Iceland, studying sustainability. It was here that I really learned about the vast complexity of the underlying systems and challenges we face trying to affect sustainable change in our communities and our planet. My time in Iceland launched my exploration into the many different areas of sustainability, from agriculture to energy to education, and my continued passion for working in the field. For me, and I think probably for many people, the most challenging aspect of working in sustainability is not getting overwhelmed and giving into despair when constantly confronted with the scale of issues such as climate change. You have to constantly remind yourself that even the small efforts and small changes, in aggregate, do add up to make a difference. When I walk into a grocery store, I want to see the How2Recycle label on everything! And not just the national brands with wide reach, but the smaller and “generic” brands as well, because I think that consumers who might have to choose a more economical option should have access to accurate, clear recycling information as well. I would also like to see the How2Recycle label grow an even greater presence in products like toys, electronics, home goods, and e-commerce. I tried my hand at a backyard garden once, but my lack of a green thumb meant that failed miserably, so now I opt to get my produce from the farmer’s market while it’s in season, and support local and small-scale agriculture whenever possible. Found most often in the simple moments: a cup of tea with honey on a chilly morning; belly-laughing with my husband at our dog’s silly antics; the shade of light filtered through leaves on an afternoon stroll; knitting a cozy wool hat for a loved one.